2018 Pass Rates Wales. 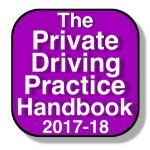 Best Driving Test Centre to Pass 1st Time. The official 2017-2018 DVSA driving test pass rates and addresses for your local driving test centres North & South Wales. Want to know the most recent 2018 driving test pass rates and addresses for your local test centre? Please remember to check your confirmation letter or email for any changes to your North & South Wales test centre address prior to your test. Date updated: 12th October 2018. Powys DVSA Driving test centres. Brecon Practical Driving Test Centre. Additional information: Car parking spaces are available. Male & female toilets are available. Prior arrangements will be made at this test centre if you have a disability. New 2017-2018 Car 63.1% or 88.1% if you use The Secret*. Click here for further information on how to pass your driving test 1st time by using DVSA ADI devised The Driving Test “SECRET”. William. Who passed their practical driving test 1st time. Llandrindod Wells Practical Driving Test Centre. Additional information: Car parking spaces are available. Please note there are no toilets at this test centre. Driving Test Pass Rates Llandrindod Wells Driving Test Centre. New 2017-2018 Car 72.2% or 97.2% if you use The Secret*. Click here for further information on how to pass your driving test 1st time by using DVSA ADI devised The Driving Test “SECRET”. Newtown Practical Driving Test Centre. Driving Test Pass Rates Newtown Driving Test Centre. New 2017-2018 Car 53.9% or 78.9% if you use The Secret*. 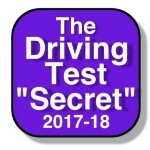 Click here for further information on how to pass your driving test 1st time by using DVSA ADI devised The Driving Test “SECRET”. Denbighshire DVSA Driving Test Centres. Rhyl Practical Driving Test Centre. Victoria Road Rhyl Denbighshire LL18 2EL. Driving Test Pass Rates Rhyl Driving Test Centre. New 2017-2018 Car 47.9% or 72.9% if you use The Secret*. Click here for further information on how to pass your driving test 1st time by using DVSA ADI devised The Driving Test “SECRET”. Glamorgan DVSA Driving Test Centres. Barry Practical Driving Test Centre. Bridgend Practical Driving Test Centre. Driving Test Pass Rates Bridgend Driving Test Centre. New 2017-2018 Car 59.7% or 84.9% if you use The Secret*. Click here for further information on how to pass your driving test 1st time by using DVSA ADI devised The Driving Test “SECRET”. Cardiff (Llanishen) Practical Driving Test Centre. Pass Driving Pass Rates Cardiff Driving Test Centre. New 2017-2018 Car 50.1% or 75.1% if you use The Secret*. Click here for further information on how to pass your driving test 1st time by using DVSA ADI devised The Driving Test “SECRET”. Merthyr Tydfil Practical Driving Test Centre. Driving Test Pass Rates Merthyr Tydfil Driving Test Centre. New 2017-2018 Car 53.2% or 78.2% if you use The Secret*. Click here for further information on how to pass your driving test 1st time by using DVSA ADI devised The Driving Test “SECRET”. Pontypridd Practical Driving Test Centre. Driving Test Pass Rates Pontypridd Driving Test Centre. New 2017-2018 Car 54.8% or 79.8% if you use The Secret*. Click here for further information on how to pass your driving test 1st time by using DVSA ADI devised The Driving Test “SECRET”. Swansea MPTC Practical Driving Test Centre. Driving Standards Agency Langdon Road Kings Dock St Thomas Swansea SA1 8QY. Driving Test Pass Rates Swansea Driving Test Centre.